The interactive installation InterACTE propose to the spectator to freely improvise with a virtual character. The virtual actor is able to improvise and generate its gestures using a finite state machine that triggers three main behaviors according to the actor’s body posture and arm movements: the virtual actor can mime in real-time the real actor, it can propose expressive or linguistic gestures from four MoCap databases, or it can generate a new gesture using a genetic algorithm. 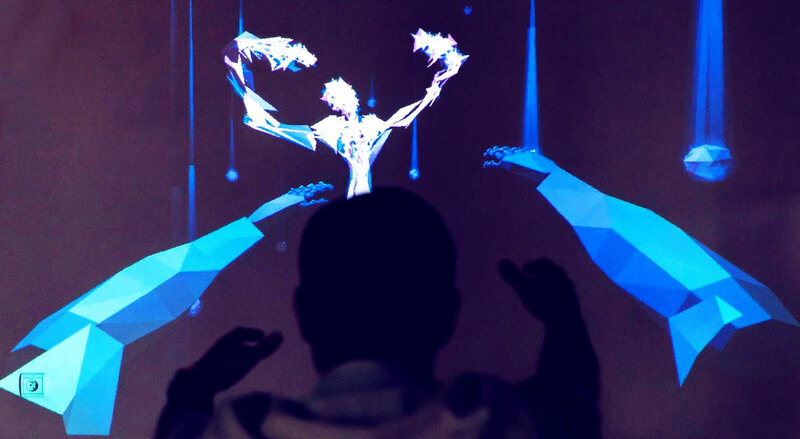 A first installation experienced by the participants during an international art festival, shows they are able to improvise fluently with the virtual actor in a rich and expressive dialogue.